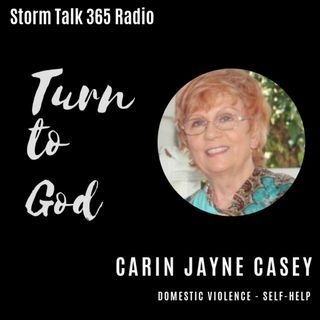 In “Turn to God with Carin,” Carin Jayne Casey shared that she is going through some major transitions in life: Retiring in September from the Commonwealth of Virginia after 31 years of service, and she’ll be 65 years old in September as well. Casey relates our experiences in life to driving to/from work: filled with detours, problems, terrible accidents… much of the variables are out of our control. With experience over time, we learn how to deal with similar situations we ... Maggiori informazioni face. God is our rescue in life! We need to choose faith over fear into the unknown. Be courageous! Life is an adventure! Yeshua’s House in Petersburg, Virginia, a faith-based 18-month transitional home for women overcoming domestic violence and financial issues, is also going through a major transition! Please pray! Donations can be sent through YeshuasHouse.net.